Verona Coffee Table. Mediterranean style table with stone top. 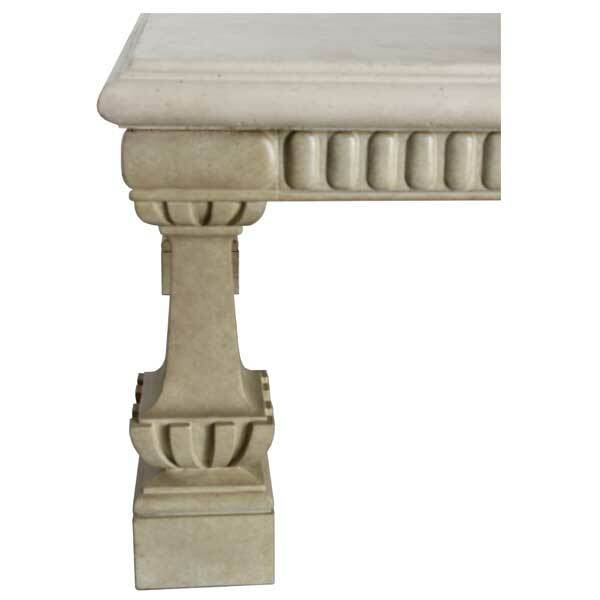 The Verona Coffee Table has unique square balusters for legs and egg carving on the apron. The earliest examples of balusters were found in bas-reliefs representing Assyrian palaces where they were employed as window balustrades. As an architectural element the baluster did not seem to have been known to either the Greeks or the Romans. Application to architecture was a feature of the early Renaissance. Late fifteenth century examples are found on balconies of palaces in Venice and Verona. Outside Europe the baluster appeared as a new motif in Mughal architecture, first seen in Shah Jahan’s seventeenth century fortress palaces – the Red Forts of Agra and Delhi. 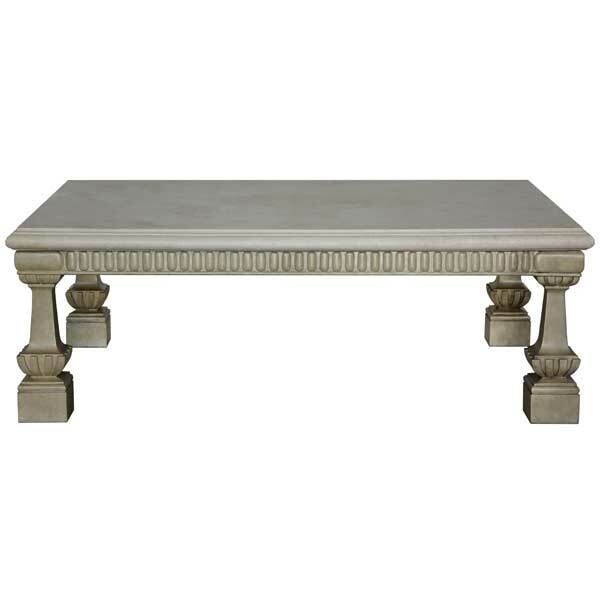 The Verona Coffee Table Base is available in rectangular and square models which can be used either with cast stone or wood tops. The table base is available in a variety of finishes. 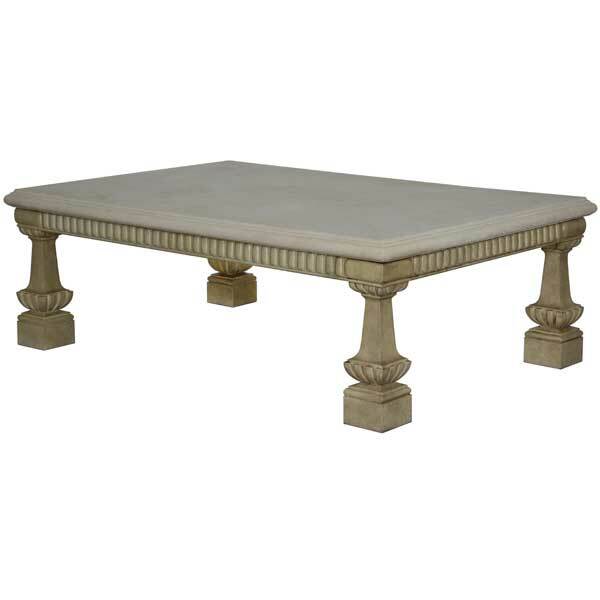 Recommended table tops are offered in various stone colors and wood stains. All wood carving is done entirely by hand. Custom sizing is available. Designed by Shah Gilani, ASFD.